We are very pleased to announce our brand new TCU Flash product is now available. After 3 years of development and testing this new product is finally ready for the masses. 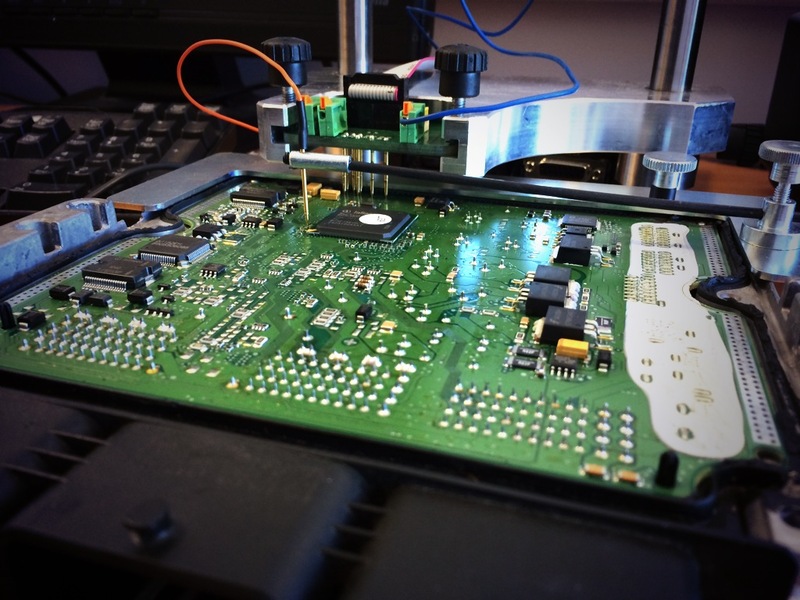 Our TCU Flash offers drivers the ability to remap their gearbox ECU (otherwise known as the TCU, transmission control module) on almost all automatic and semi automatic gearboxes build from 2005 onwards. This includes traditional automatic gearboxes as well as DSG, 7G-Tronic, SMG, MCT, S-Tronic and R-Tronic amongst many many others. An improved shift pattern for better response and improved economy. Faster changes between gears for fast acceleration. Changes to gearbox torque limiters to permit more power to the wheels. Improved low speed manoeuvrability for single clutch transmissions. Our gearbox TCU Flash remap product covers all major manufacturers including Volkswagen, Audi, Seat, Skoda, Mercedes Benz including AMG, BMW including M series cars, Aston Martin, Ferrari, Lamborghini, Jaguar, Land Rover, Range Rover, Corvette, McLaren, Mini, and Porsche. We can offer our gearbox remapping anywhere in the UK. Contact us on info@jrtuning.co.uk or call 01795 342006 for further information, or to read more on our main website, click here. In today we’ve had a Freelander 2 with the newer SD4 engine for remapping. In factory form these engines produce a healthy 190bhp however its a very peaky power delivery with large amounts of turbo lag and throttle response that can be described as vague at best. The Freelander 2 SD4 uses a Bosch EDC17 ECU that cannot be remapped via the OBD socket, so to remap this we needed to remove the ECU from the vehicle. This is a relatively simple process that involves removing the windscreen wipers to then be able to remove the plastic trim underneath the windscreen. The ECU is then located in a plastic tray clipped into a metal carrier. 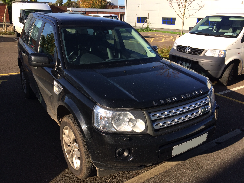 Following the remap the Freelander 2 SD4 drives significantly better than factory. Throttle response is sharper, turbo lag is hugely reduced, the torque curve is much flatter and additional power of 40bhp and 75Nm is also available to the driver. Interesting in remapping your Freelander 2 SD4..? get in touch with us. Email us on info@jrtuning.co.uk or call 01795 342006 and we’ll be happy to help! This Audi RS6 5.0 V10 TFSi Saloon has joined the JR Tuning fleet of vehicles and what better way to welcome the beast, treat it to an ECU remap! The 5.0 V10 in the Audi RS6 is very different from the 5.2 V10 found in the Audi R8 or Audi S6. This 200cc smaller 5.0 V10 engine is found in the Lamborghini Gallardo, but has over 400 unique parts in Audi RS6 C6 trim including the addition of twin turbo chargers! All this extra hardware added to an engine that already produced 500bhp in naturally aspirated form, the C6 RS6’s standard power output of 572bhp hardly seemed impressive. We set to work reading the standard software from the Audi RS6 V10 ECUs (yes, the Audi RS6 has two Bosch ECUs as one doesn’t have sufficient processing capacity to deal with 10 cylinders that can rev to 7000rpm and two turbochargers!). After careful modification of torque limiters, injector and ignition timing, boost limiters and throttle mapping, oh and remove the 155mph speed limiter which the Audi RS6 hits too easily it was time to flash our modified software back onto the ECUs. 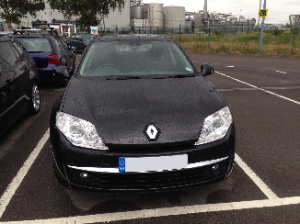 The remap resulted in an extra 100bhp over factory, along with much earlier power delivery. Using our race-logic timing box we can see that this car is now pushing 0-100mph in 7.8 seconds, a clear two seconds faster than the standard car. It then continues to pull through every gear with significantly more urgency and torque than before the remap. 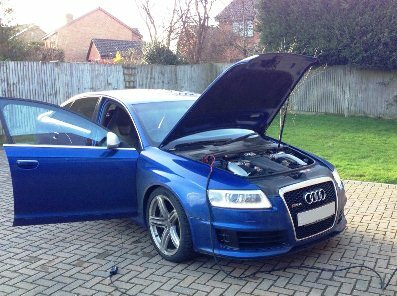 Our Audi RS6 remap tuning work can be carried out both at our premises in Sittingbourne, Kent or mobile at your home or place of work. This customer tows a large caravan and whilst he knew the Chrysler 300C CRD makes a good tow car he knew it could be even better with a remap. 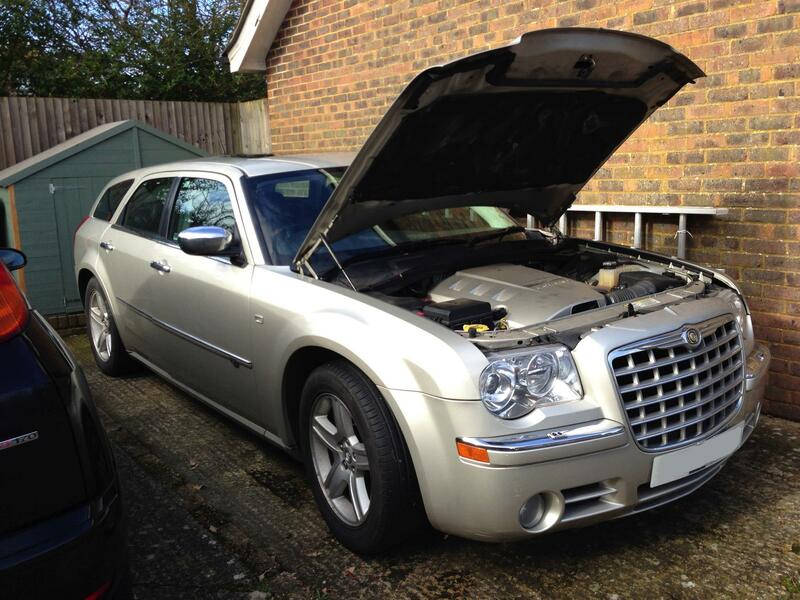 The diesel engine in the Chrysler 300C is a Mercedes engine and responds very well to remapping. We offer both performance remapping and economy remapping for the 300C CRD however this customer wanted something in between, to give a good fuel saving on a daily basis, but a good chunk of extra power to help when towing his caravan. We wrote him some custom software which will see this vehicle gain +42bhp and 90Nm torque which is sure to help! Given engines are the least efficient when working at 100% load this 300C will also be much better on fuel whilst towing. As a daily driver the extra power, significantly wider power band and hugely improved throttle response really transformers the way the car drives. Do you have a Chrysler 300C? If so talk to us about our remapping! The 300C ECU remap can be flashed via the OBD diagnostic socket in your vehicle, comes with our 28 day no quibble money back guarantee and we’re fully insured. 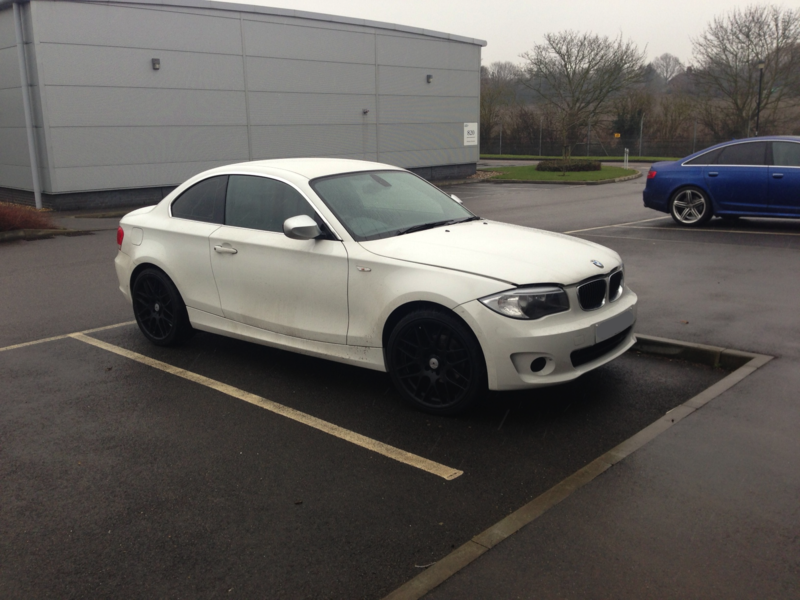 Today we’ve been remapping this BMW 1 series 118d. These cars are fitted with Bosch EDC17 TriCore ECU’s meaning they cannot be tuned via the OBD diagnostic socket. 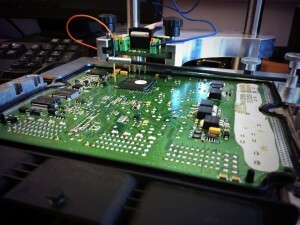 Not a problem, JR Tuning has all the required equipment to remap these BMW 1 series ECUs on the bench. The ECU is removed from the vehicle and the file is flashed out of the vehicle. The results are fantastic with much better throttle response, reduced em issions and fuel consumption and power gains of +38bhp and +80Nm torque over stock. As with all our remapping ecu software a JR tuning remap is covered by our 28 day no quibble money back guarantee and we’re fully insured. All our remaps are designed to provide safe and reliable motoring on a standard vehicle, keeping within manufacturing tolerances and service intervals. Call us today for a remapping quote on your BMW 1 series. This was a 118d, however we offer tuning services on most makes and models including the 118d, 120d, 125d, 130i and 135i. The snow started falling this morning, but that didn’t stop this VW Touareg owner making it to work. 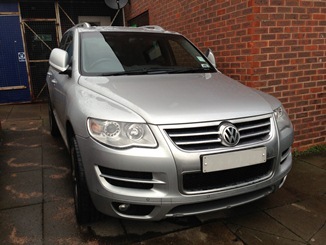 This 3.0 V6 TDi Volkswagen Touareg has been remapped for economy. Fuel savings of 15% are expected (thats 4.2mpg!) whilst the remap also gains the vehicle an additional 35bhp and 80Nm torque. Combined with a more responsive drive its a win-win. Call us today on 01795 342006 or email info@jrtuning.co.uk to discuss remapping your vehicle! We are now extending our catchment area for mobile work to cover East Sussex and West Sussex from our base in Crowborough. Customers in East Sussex and West Sussex will be able to have a JR Tuning remap carried out at their home or place of work with absolutely no callout charges! If you’re looking to remap your car, van, truck, camper, horse-box, bike or literally anything else JR Tuning can help with prices from as little as £295 including VAT, a 28 day money back guarantee, ISO certified software and all our work is fully insured for your peace of mind. We can offer tuning for performance, fuel saving, towing, emissions reduction and much more. Call us today on 01795 342006 or email info@jrtuning.co.uk to discuss your requirements and we will tailor our software to your requirements. We’ve remapped a lot of the Vauxhall CDTi engines so thought it was about time we wrote a blog entry about them. In particular we have seen a lot of Vauxhall Astra and Vauxhall Astra Van owners looking to remap their CDTi engine due to the lower power outputs generally found in these vehicles. The 1.4 CDTi , 1.7 CDTi, 1.9 CDTi and 2.0 CDTi all respond very well to remapping. A remap carefully adjusts parameters such as injector timing, fuel pressure, boost pressure, throttle mapping and torque limiters within the engine ECU map to vastly improve the way your Vauxhall CDTi engine drives. We can remap the Vauxhall CDTi engines for both economy to achieve fuel savings or for performance whilst maintaining fuel economy at factory levels. We can tailor tuning of your Vauxhall CDTi engine for your specific application. Does your Astra Van need a remap to help it carry extra weight or do you tow a caravan or trailer with your Vauxhall Astra CDTi? If so we can write a bespoke remap to provide extra low end torque to help with towing. This also helps the life of the Astra TDCi factory clutch, allowing you to pull weight at lower RPM, thus not spinning the clutch when pulling away on hills at high engine speeds which can overheat your clutch and flywheel. If your not 100% convinced by our Vauxhall TDCi engine remapping, then why not take advantage of our 14 day no quibble money back guarantee? JR Tuning will remap your vehicle and if your not 100% satisfied with the results, bring the vehicle back to us and we will remove the remap and return the vehicle to factory settings and give you a full refund. Also rest assured all our remap files are fully insured and ISO approved, not something many tuners can say! This really sets us apart from the crowd. So what are you waiting for? Give JR Tuning a call on 01795 342006 or email info@jrtuning.co.uk and remap your CDTi Vauxhall now. We’re convinced you won’t be disappointed!